Note: If you ever get stuck with importing your data, contact our support team and we’ll help you out! For a video walkthough of importing, click here. Go to the page you want to import data into. For instance, if you want to import scenes, go to the Scenes page. If you do not have any records already added, click the large white button that says Import from spreadsheet. If you already have records, click the Import button in the header of the data grid. The import window should open. This is the first step of importing. On the left most side of the import window, make sure the type of data you wish to import is correctly selected. Select a file to upload. At this time, only .xls, .xlsx, .csv, .tab, and .tsv files are supported. If the first row of the file you are importing does NOT contain column headers, make sure to uncheck the column header box. Choose which actions you’d like to perform. If you don’t have any existing records, you will want to select add.If just add is checked, SetHero will import everything from the spreadsheet, regardless of if there are existing records. 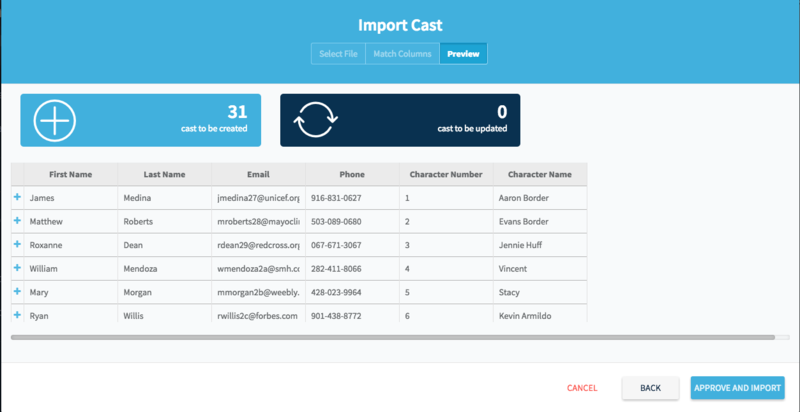 If just update is checked, SetHero will only update existing records with the data you are importing. Any rows that don’t match an existing record will be ignored.If both add and update are checked, SetHero will try to match your imported records with any existing records. Any rows that don’t match an existing record will be created as new records. Once you have completed these three steps, click the Next button. This is the second step of the importing process. This is where you “link” each column of your spreadsheet with a SetHero field, so we know which data should be imported into which field. 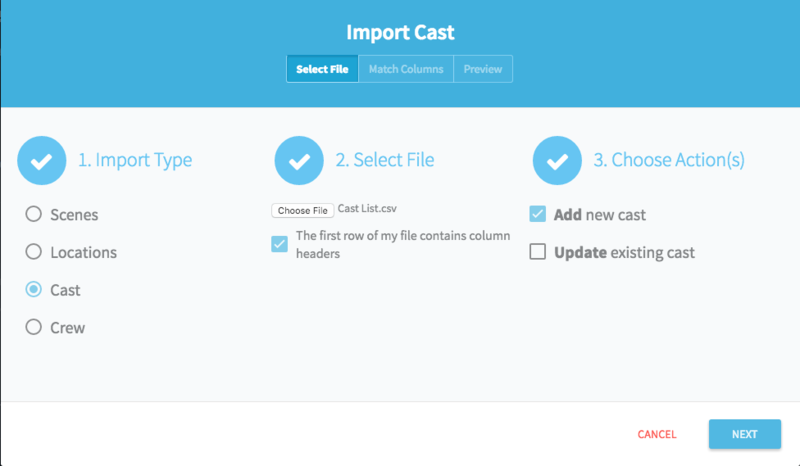 You can also choose to not import certain columns of your spreadsheet at this step. You’ll see a row for each of your columns. 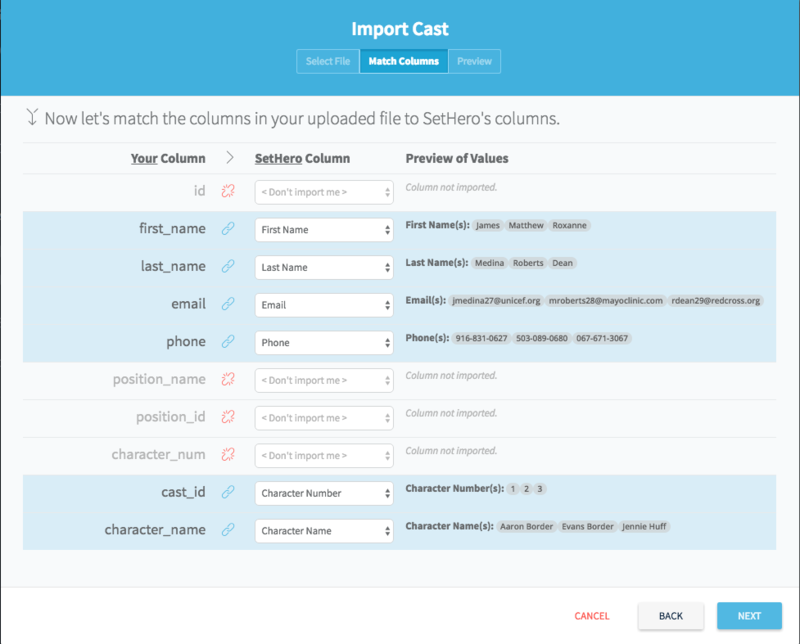 In the left column is the name of your column and to its right is a dropdown allowing you to select an available SetHero field to import the data into. After selecting a field from the dropdown, to the right of the dropdown you’ll see a sample of the values that will be imported to the selected field. For columns that don’t match up with any SetHero columns, select “Do Not Import” from the field dropdown. If you are importing to update existing records (i.e. you selected the option to “Update existing values” from step 1) then you will also see a checkbox on the far left of each field. By checking this, you will indicate that this is the field that SetHero should use to match existing records. The field that you check should ideally always contain unique values. For instance, if you are importing an updated scene list, you would almost certainly want to check the “Scene Number” field, since each record has a unique scene number. Once you have properly mapped each column you wish to import with a field in SetHero, click on the Next button. In this step, you will be presented with all the data that will be imported so that you can preview it and edit anything before importing. If you see a red banner saying errors were found, it means that there were some validation errors that you’ll need to correct before importing. 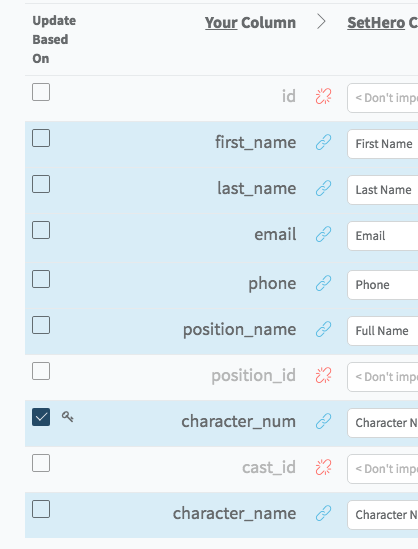 Often, these errors will be related to invalid data, such as required fields being left blank or fields that only allow numbers having letters in them. Find any cells highlighted in red and hover over them to see what the error is. 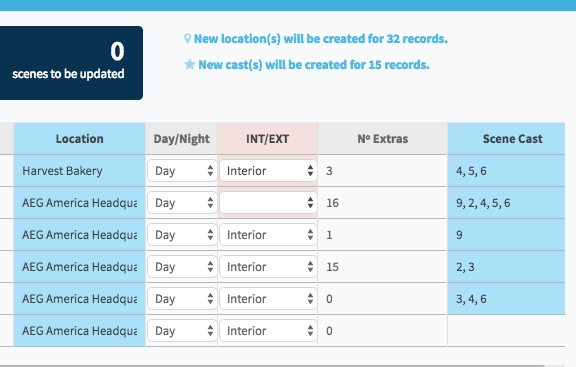 You can click on the cell and edit the data directly in the table to correct the error. 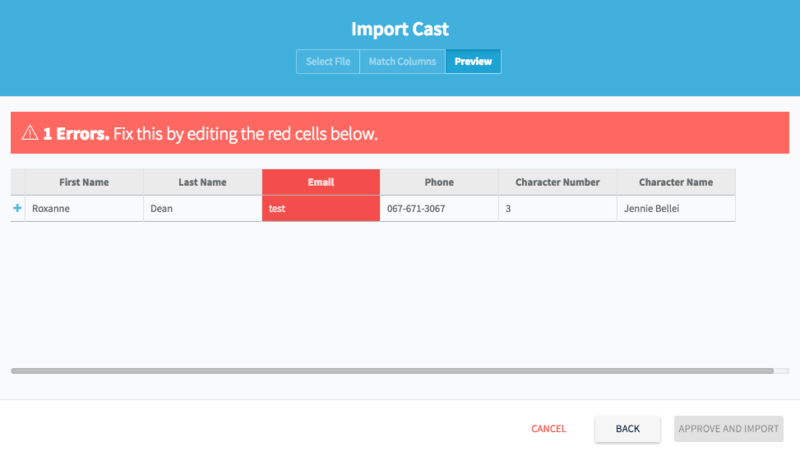 Once you’ve fixed an error, it will no longer be highlighted in red and will disappear from the list of error cells. Once there are no longer any errors, you will see all the rows that will be imported. When there are no errors and all the data looks correct, click the import button. Importing should be a fairly quick process, but may take up to 20 seconds. After it is finished, you will see a success message. You should instantly see the data appear in the appropriate tables. If, for some reason, the data does not appear, try refreshing your page to load in the newly imported data. Congrats on importing your data into SetHero!